Circular materials are innovative sustainably produced, renewable, and generally available raw materials like bioplastics and recyclates. Bioplastics can have different and therefore interesting characteristics that are already recognized and used in the packaging industry, agriculture and horticulture, medical, consumer electronics and the automotive industry. It is our aim to accelerate the transition from linear fossil based plastics to sustainably produced renewable plastics. We do this by informing on the possibilities, giving insights and advice for making the right sustainable choices (based on chain knowledge) and connecting the dots in the supply chain. We always look into the possibilities of using recyclate first. 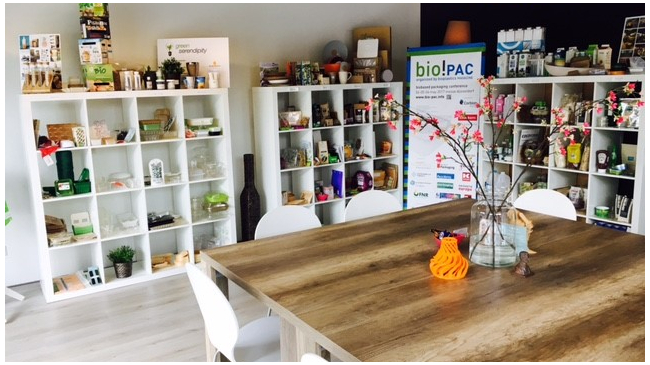 Green Serendipity has set up the ‘Bioplastics Hub’ in Amsterdam. Its aim: to inform on bioplastics and bio-based packaging whilst providing essential answers about the whole chain (from raw material until end-of-life), methods, facts, communication, certification, advantages and to connect parties within the whole supply chain. The Bioplastics Hub is powered by the Dutch Ministry of Economic Affairs. Green Serendipity is an agile consultancy and can be hired for experts, innovators, consultants, matchmakers, for strategy and as brainstormers or innovative concept creators with regard to bioplastics. Also available for presentations, workshops, or guest lectures. Including organizing conferences or meetings around the themes of bioplastics, biobased packaging or accelerating the bio-economy on behalf of third parties. For more information about the Workshop ‘Introduction to Bioplastics’ (NL), look here. Copyright © 2019 Green Serendipity. Powered by WordPress. Theme: Ample by ThemeGrill.